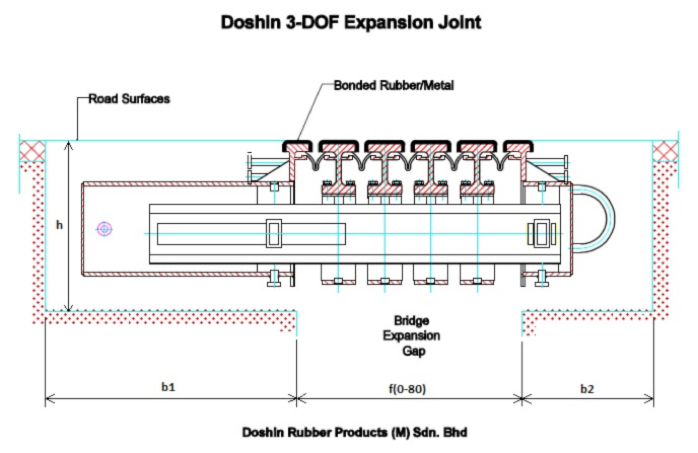 Doshin Modular Expansion Joint System is a mechanical device installed in between bridge decks. 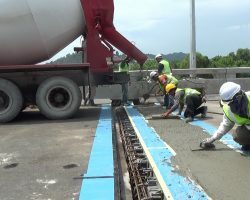 Its main function is to allow for smooth vehicular movement across expansion joint openings. 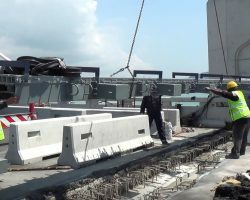 This is achieved by employing the use of lamella beams which divides the expansion joint openings into smaller individual gaps. 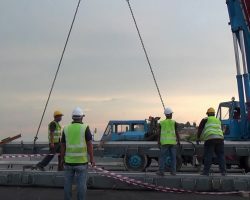 The lamella beams are connected by EPDM rubber that acts as a watertight seal that prevents debris and water from passing through bridge expansion joints openings and damaging the bridge deck and structures below. Doshin Modular Expansion Joints cater for expansion joints with movement range exceeding 80 mm. 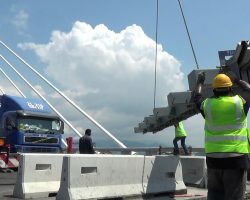 The lamella beams work in series to accommodate the thermal expansion and contraction of bridge decks thus protecting it from damage. The structural elements are made of superior and long lasting quality materials. All our products meet the stringent requirements of ISO 9001:2001 quality assurance requirements. Doshin Modular Expansion Joints are highly durable, have no loose or moving steel parts thus totally eliminating it from damages due to frequent load changes. 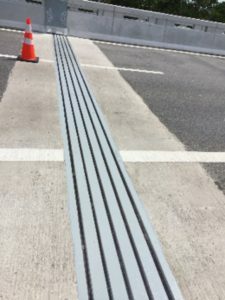 Lubricated PTFE, high-grade stainless steel, elastomeric components and plastics plays a part in enabling the movement of the Doshin Modular Expansion Joints. Doshin Modular Expansion Joints allow movement in all 3 directions (ux, uy, uz) and rotations about all 3 axes (f x, f y, f z). 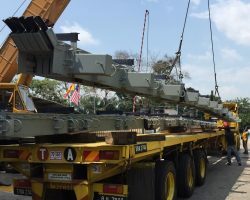 Large movements in the bridge’s transverse direction (uy) and vertical direction (uz) of both the lamella beams and the cross beams are made possible due to the consistent elasticity of the support system. 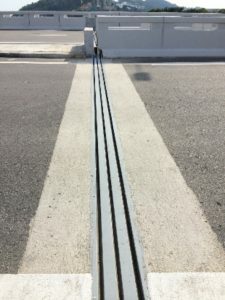 Highly advanced spring and damping system is incorporated in the modular expansion joint design due to its ability to reduce dynamic stresses thus protecting the joints and structural elements from excessive damage due to traffic movement. The maximum movement capacity in all 3 directions (ux, uy, uz) of Doshin Modular Expansion Joints, and the angle permitted between the movement direction and its joint axis, are presented in the table below.